Coins 299 Nero (54-68). 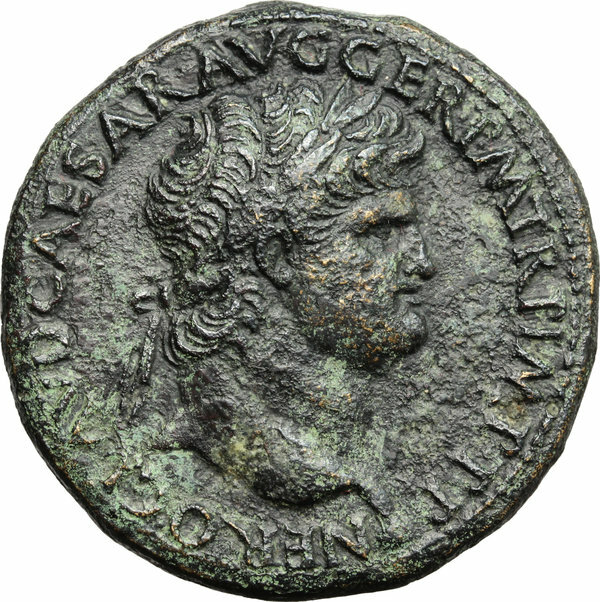 AE Sestertius, Lugdunum mint, 62-68. D/ Head of Nero right, laureate. 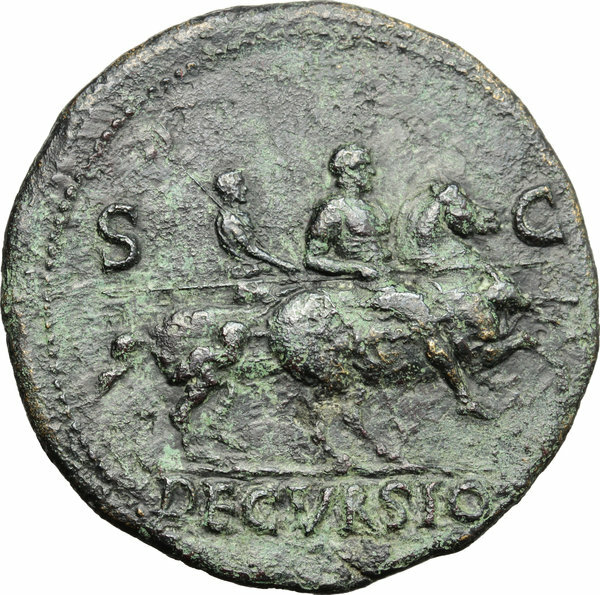 R/ Emperor prancing right on horseback; holding spear; behind, soldier on horseback. RIC (second edition) 436. AE. g. 28.24 mm. 34.00 Good VF.